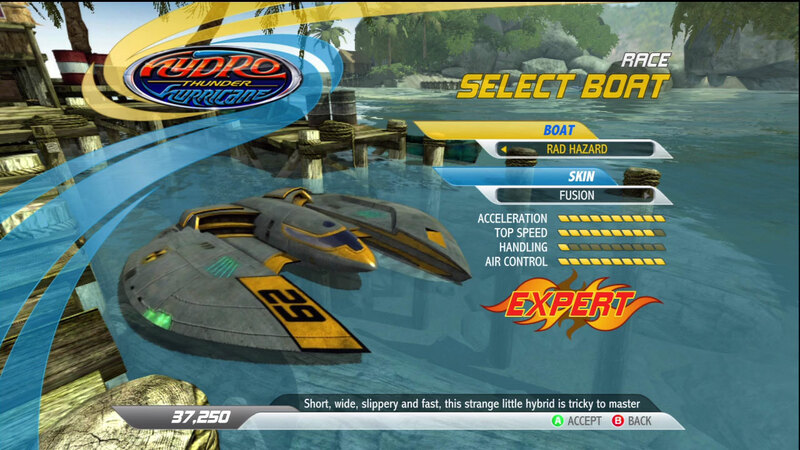 "Not everything is subject to being boosted, but when it comes to boats, Hydro Thunder delivers." Not everything in the arcade world gets a chance to come back to the limelight in the increasingly fast paced world of modern day games. Fortunately for the Hydro Thunder franchise, we get to see a new iteration to this arcade hit. 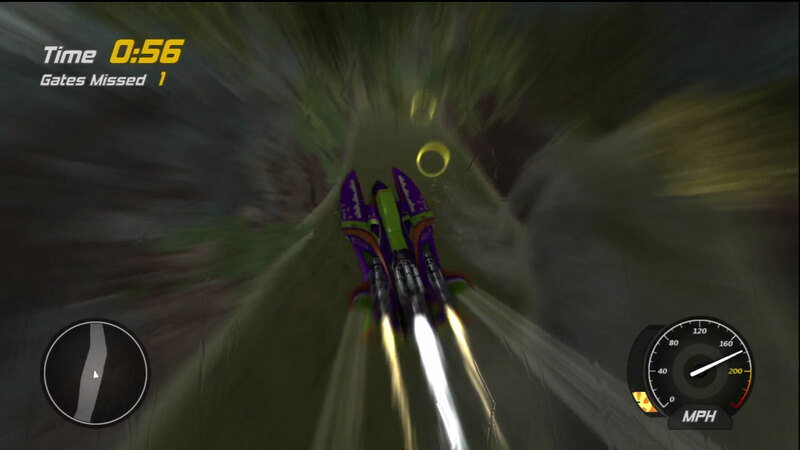 Hydro Thunder Hurricane is an completely new game in the long running franchise that has seen releases on the Dreamcast, Nintendo 64, Playstation, and even making an appearance on the PC in European regions. Memorable powerboat fun is brought back to us by developer Vector Unit published during the Summer of Arcade as an XBLA exclusive. The developers have given us a faithful adaptation to the series; bringing back the classic nitro fueled boats, all new tracks, game modes, and multiplayer in this fully reworked successor. For 1200 MS points (Or $15 USD), they have reproduced the original Hydro Thunder and introduced more modern conventions you come to expect with a console based game. Hurricane comes with a standard Race mode, Ring Master, Gauntlet, and a combination of the race types that culminate into the Championship mode. Race mode is straight up Hydro Thunder action, which pits you against fifteen other AI based racers in an attempt to reach the finish line first. Ring Master mode is a time trial based event that gives you a series of rings to navigate throughout the level in order to gain boost and complete the level as quickly as possible. The harder the class you choose the harder the ring variations will become. If you miss any rings whatsoever you lose all of your boost and have to recharge it all over again, adding anywhere between one to three seconds on your total time depending on the difficulty level. Gauntlet is a slightly more difficult time trial based event which has you dodging exploding barrels in order to get to the end of the race. Instead of increasing boost through rings, you gain them from pickups. Gauntlet is the most difficult of the modes, as you have to balance speed with control, or you will end up as splatter on the side of a wall. UFOs ain't got nothing on Rad Hazard. Each mode will make use of the eight different tracks found in the game at various difficulties. Each track bears a resemblance to a track found in the original game such as Lake Powell and Tsunami Bowl (themed after Thunder Park). The three modes determine which boats will be accessible and the boat you choose dictates the difficulty of the AI racers in the game. Playing in the Novice, Pro, or Expertclasses vary the amount of credits you can earn to unlock new boats and tracks throughout the progression of the game. Competing in the expert mode is the quickest way to unlocking all the boats and tracks in the game as they usually give you 2000 credits a win. To this extent, it’s disappointing not to see any hidden content that were prominent in the first game. Gone are the days of Armed Response and Tiny Tanic. Hurricane provides us with a very well built adaptation to the original. The boat physics feel just as they did before, bearing that familiar out-of-control feel and sense of speed. Each boat features their original characteristics such as Rad Hazard’s unwieldy turning radius and Tidal Blades pure speed no control philosophy. It seems that the water physics play a much larger roll in this iteration of the game, as it pays to be in the right spot at the right time to keep up speed with the rest of the pack. It is very easy to get thrown into the wall at top speed if an explosion or impact disrupts the water at an inconvenient time. In the original Hydro Thunder after transforming into your nitro boosted form, you could hold boost long enough to turn into a flashing boat. This mode allowed you to bash other boats out of the way in order to gain positions easier. Hurricane seems to have dumped this feature making it a bit harder to derail the other boats in an attempt to fight for the first position. 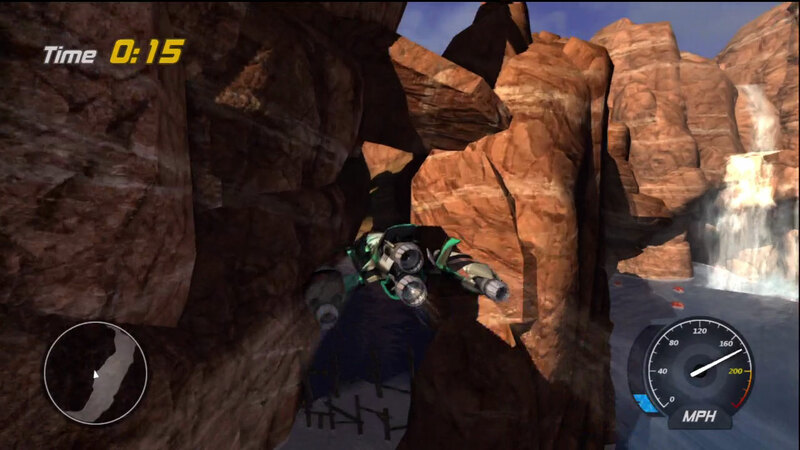 In traditional Hydro Thunder form, each track comes with hidden alternate routes which can either be activated or opened by green pickups or smashing through objects respectively. Banshee flying through the air on a Ring Master event. With the limited amount of tracks, Hurricane doesn’t hold its own quite as well as it did in the past, even with the addition of the new game modes. There is simply not enough substance to sustain an engaging experience past the first play-through of the single player. This is where multiplayer comes to the rescue, and provides hours more fun to the game. You have the choice between two modes, a standard eight player race or “Rubber Ducky”. The race mode is exhilarating as long as you don’t stay in the first place position for too long. Unfortunately they added a catch-up mechanism that limits the yield of boost pickups, forcing you closer to the action. This acts as a punishment for anyone that over-excels at the game, as they can not maintain boost throughout the whole level to get exceptional times. In “Rubber Ducky” mode each team has one player that is piloting a boat in the shape of a rubber ducky. The goal of the other team members is to help protect the rubber duck as you race to the end, and the team who reaches the finish line first wins. Like the single player you can earn credits in order to unlock tracks or boats, if you are not interested in playing through all the events. Cutthroat boat on the Lake Powell going through a secret. 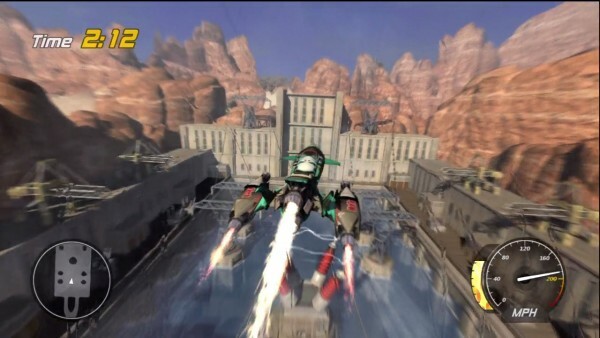 Vector Unit has managed to produce a faithful rendition to the Hydro Thunder franchise, comprising all the elements that made the original arcade classic a fun game to play, while attempting to add new modes and multiplayer in order to give it a lasting impact. While the single player isn’t able to grab your attention for a very long time, the multiplayer makes up for it wholeheartedly. Even though the developers did not add in the hidden boats or bring back any original tracks as extra content, it still stands on its own as a respectable successor to the series. Hydro Thunder Hurricane brings back a great sense of nostalgia for any arcade fans that are looking to get their boost on.